Looks:Lithe dusty yellow male-wolf with bright blue eyes. Has long,spiky fur and large ears and paws. Pale yellow crescent shape on his shoulder. Looks like a flash of light. Personality:Bubbly and charismatic,very optimistic. Flash can be very playful,but can turn serious in an instant if the need arises. Very loyal to his Clanmates and friends,and puts his friends and family before all else. Would never hurt someone he's close to. Personality:Arrogant and slightly cocky. Kobie is extremely proud and brave,also completely unselfish. Although she may say something a little offensive sometimes,she would never willingly hurt someone she's close to. Personality:Kind of selfish. Thinks of his own problems first and then considers other's problems. 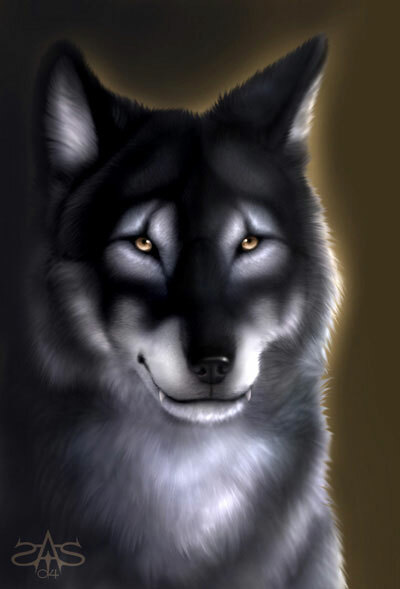 Is sometimes scared and is very timid,but wishes to do his best for WolfClan. Personality:very serious and thoughtful,always thinks first before acting. But he has a weak spot for anyone younger than him. very loyal,will never hurt someone dear to him. Okay, so basically, these are the future pups of Kraze and Akuma. I'm not going to RP any of the pups, but I might change my mind (but the chance is very low) so be warned (though, don't worry because it probably won't happen). Just so you RP Samplers now, but Hrojo is like a small copy of Kraze. His personality is the same, but he likes the seclusion out in the territory like his father does, though, he likes it less. That's all I have to add. Silence is the coolest of the group. XD I mean LOOK AT THAT PICTURE! I would like to take Hrojo, but can I change his name so it's Rojo or Hojo? I don't know how to pronounce the original version. Yeppers. XD Hrojo. H-ROW-JO is how I pronounce it. I don't care how its pronounced. I members it by san that Rojo ish red in spanish and just add an H xD Anywho... Its kinda hard to RP a charrie that ishn't born yets, specially how it acts, but I will gives it my best shot. Hrojo sat, watching his siblings play. They were using energy, but it would still help them when the grew. Should he save his energy for if he needed it, or should he improve his skills? There wasn't much to think about when he knew so littlee, so this was the best he could come up with. "I can regain enrgy, but not skill." He said to himself. He got up and walked over to his siblings, then half-heartedly joined into their play-combat. Kobie: The small, black and white she-wolf padded around. Not really sure what was happening she decided to make the best of being alone for the time being. Kobie's stomach growled, wanting food that would last a while before it needed more. Having never taken down a meal in her like, it would be hard. Taking a huge breath, she smelled the air, looking for preys scent. Rabbit, mouse, and some sort of bird. Rabbit it was, so, like how the gammas hunted. The she-wolf got low, keeping her tail pretty low. But as soon as Kobie was just 2 fox-lengths away from her meal, something or someone blocked her, its shadow casting long over her petit body, how was this and who did they think they were. She stood up, her fur poking up in some places, "Who do you think you are?" she growled at the stranger. All right. Jet has Kobie and Shiron has Hrojo! Light filtred into the (insert name of the structure Silence is in) structure, Silence woke up slowly. Wheres everybody? he wondered as he padded throught the camp; suddenly he realized how hungry he was, he went into the forest, searching for prey, he stayed alert, he caught the scent of mouse nearby. Then he spotted the little creature under a bush, He quickly jumped on it and killed it; Then he ate it. Even if the mouse had been fat and juicy, it didnt fill his belly, he felt the need of hunting more for himself instead of hunting for the clan. Wow. I like it. You gotz him.